Everyone wants to crack Facebook or master Twitter. The benefits of doing so remain enormous, but it’s becoming way more of a grind. What if there were alternative social media platforms that could drive tons of traffic and conversions to your online business with less effort involved? How would that feel for you and your marketing team? Imagine if your online marketing strategy revolved less around overcoming Facebook’s 7% organic reach, or the measly 24-minute half-life of a tweet? Picture a world where you could build your blog audience without the mind-numbing hustle of building a huge social media following. It’d probably bring a sense of excitement back to your social media marketing. A buzz not seen since Facebook actually let you reach most of your followers without paying to boost your post. 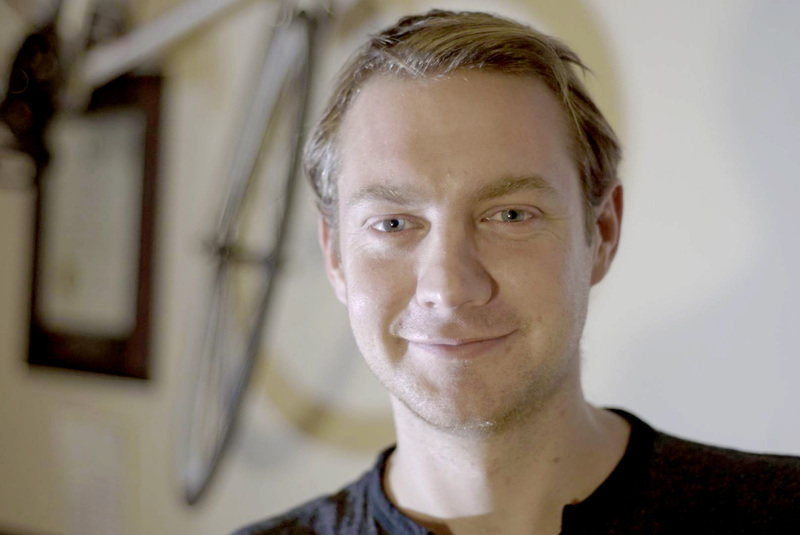 This wonderfully simple world of social media exists – within Quora and Reddit. We’ve used both of these platforms to send thousands of warm leads to my PR agency Powerful Outreach and our clients, plus they’ve also improved my own personal brand. Here are some eye-catching results from marketing website WishPond. They get almost 10,000 unique visitors to his website from Quora, making it the second most common referral source. The most exciting thing is that you could do it too, within a matter of weeks, not years. You don’t even need to be an internationally-known marketing brand either. All it takes is basic knowledge of how both these platforms work – and that’s what I’m going to provide for you below. Quora is a social media network based on questions and answers. Any user can post a question and have it answered by dozens of thought leaders in the industry (or anyone else with an opinion). The website launched in 2009 and attracts 100 million unique monthly visitors, so it’s hardly a content marketing caterpillar. However, its butterfly wings only fully developed in the last few years, when some of the web’s biggest names started posting regularly, and regular bloggers like you and I realized they could generate a ton of conversions by doing the same. The basic strategy involves answering questions in your area of expertise. These answers should include a call-to-action for readers to find out more on your blog, or by downloading the lead magnet for your email list. offer them a freebie so they can learn more, without being overly salesy. Do this and you’ll get a decent percentage of readers clicking through to your website – and hopefully investing in your services. Each Quora answer is automatically categorized. In order to attract people who are interested in your business, it’s best to only answer questions in your niche. The more questions you can answer in your niche, the better (we’ll see why later). However, just as with any other online platform, you won’t get far by posting spammy low-quality answers. Quality will win over quantity on Quora every time. Take the time to provide your best answer. Include detail, numbered steps, images, statistics and quotes from influencers. This will get more eyeballs on your words, as users have the opportunity to upvote the answers they found valuable. The answers with the most upvotes appear at the top of the page and therefore gain more exposure. What’s more, readers are more likely to actually click the link to your blog if you’ve fully demonstrated you’re an expert worth taking advice from. Those with an interest in your area of expertise will be more likely to ‘follow’ your account, so they can be alerted of your future answers too. If you can gain the most views on your answers within a specific topic, you’ll earn a place on the ‘most viewed writers’ list and begin to earn badges, which will appear alongside your profile and answers. As well as the extra credibility this will give you, Quora will begin to recommend that people specifically request your answer for their question. They can do this for 25 people per question, and will receive a special notification when one of them answers. Decide what categories will be most beneficial to earn badges in. For me, a badge in Public Relations would extremely useful, but this is a highly saturated category. Link building has a decent, yet smaller following, so would be easier to earn a leading credential for. That’s handy as it’s a key part of the business strategy we set out for clients. It’s possible to ‘follow’ a question and receive alerts whenever they are answered. Older questions with plenty of answers already submitted can sometimes attract hundreds of followers. Answering these questions is a great strategy for attracting a gushing flow of evergreen traffic. When you answer these questions, hundreds of followers could be alerted. Get among the most upvotes on these questions and that’s when the traffic really begins to roll in. Even more excitingly, some of the world’s most popular websites have been repurposing the best answers to exceptionally popular Quora questions. Strike it lucky and you could find your answer published on a huge website like Forbes, The Huffington Post or Newsweek. Quora grants users the opportunity to fill out a basic profile, plus a broader summary of who you are. Your profile consists solely of your name and your job title. This appears above your answers too, so it’s important to that show people you have the credentials to provide a reputable answer. You have the option to select multiple job titles and choose the best one for the topic you’re answering. Your granted more characters to fill out your summary. Include a link to your website here. Also, consider adding links to your most popular answers. Quora is a great platform for demonstrating your expertise. When you do so, people will inevitably find your answers, be curious to learn more about you and click through to your website. While building a following is useful – and will probably happen if you provide consistently interesting and useful answers – it’s not essential to attract thousands of views to your answers. 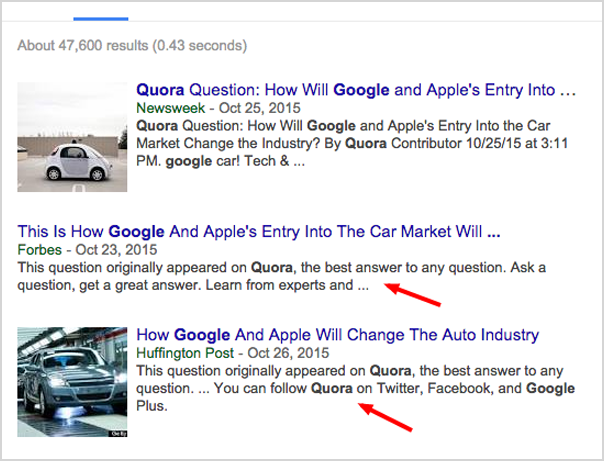 Using this strategy, you could literally attract loads of Quora users to your website TODAY. These Quora users are likely to be warm leads too. As you’ll see in the table above, Wishpond’s Quora leads tend to stay on his website for an average of just under six minutes. Reddit is an incredibly unique part of the internet. It’s designed like an online forum from the early 2000s, yet typically attracts more than 50 million unique users every month. Incredibly, there are over one million communities (called subreddits) that you can get involved with. The key to driving Reddit users to your blog is becoming a valued member of the community first, then marketing to them second. Spammy, self-promotional online content doesn’t go down well at the best of times, but Reddit users (or Redditors as they’re known) are well-known for being ruthless when they come across it. Great content can be upvoted on Reddit, and you’ll increase your ‘karma’ rating with every upvote you receive, but it’s also possible to downvote content and that’s what you can expect if your posts reek of self-promotion. One piece of valueless self-promotional content could be enough to obliterate the karma you’ve built up, and it could even see you blacklisted by the subreddit’s moderators. A better strategy is to contribute to the subreddit discussion with no hidden agenda for a few weeks. Add value to the conversation without pointing people towards your website, grow your karma, then begin adding the occasional link to your posts. Truthfully, this may still get up a few user’s noses. Yet, if they take the time to check your profile and karma rating, you may get the benefit of the doubt. The Reddit algorithm is based on a combination of the freshness of your post and the number of upvotes awarded. Some subreddits are incredibly popular, so there’s a high risk of your post being pushed off Page 1 unless it attracts upvotes very quickly. This risk is lowered if you post on subreddits with fewer followers, so you could well attract more eyeballs on your words by posting here. The success of your Reddit post is largely based on whether the first few readers upvote you, especially in popular subreddits. Reddit staff have even joked that this is true. As such, you could give yourself a leg up by asking your co-workers, staff or personal friends for upvotes immediately after posting. A post with a healthy serving of upvotes (as well as a compelling title, of course) is far more likely to capture a Redditor’s imagination and convince them to read it. Timing counts for a lot with Reddit, especially if you’re hoping not to drown in the floods of new posts. This is supposedly early in the morning on weekdays. Even so, even if you do post a great submission at this time, you could still be off the first page before it gains traction. In such cases, you could do worse than resubmitting at a different time, taking care to delete your original post, so there’s no evidence of spamming. Reddit is certainly a tougher crowd than Facebook and Twitter, and it’s not as if these mainstream social media platforms are free from trolls. If the community hates your content, they’ll let you know. You may need a thick skin when building an audience here. Still, when the community loves a post, they REALLY love it. Take a look at these overnight Reddit sensations. Creating a brilliant Reddit post isn’t rocket science. Make it original, unique, emotional, interesting or useful with eye-catching imagery, just as you would do with Quora, Facebook, Twitter or your own blog. Crucially, you’ll have a fair chance to make a huge impact, even with a tiny following. With both Reddit and Quora, there’s no reason why you couldn’t be an overnight sensation TONIGHT. While this is technically true of Facebook and Twitter too, it’s becoming increasingly unlikely unless you’re willing to spend a ton of money to boost your reach. Quora and Reddit work differently. We know because we’ve helped hundreds of our PR clients build their traffic and attract new customers via these platforms. Elijah Masek-Kelly is the Managing Director of Powerful Outreach and is obsessed with words and what they mean. He is a writer in many forms, but he is currently focused on helping small businesses and startups grow by any means possible. As Managing Director of Powerful Outreach, he helps clients get exposure through innovative and strategic outreach. With a long history as a writer and content marketer, Elijah is focused on helping small businesses develop their brand, increase their influence, and generate leads by leveraging his skills and knowledge to tap into new audiences. You’ve learned a lot from this blog. Write more for newcomers. 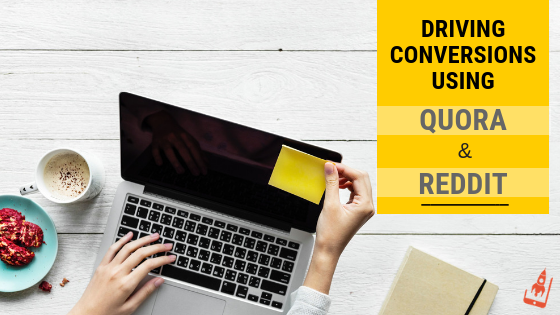 Awesome tips and step by step explanation on how to drive more Conversions through Quora and Reddit. Really appreciate the way you have written and explained. Especially the importance of building your personal brand on Quora Section.